Can you smell that scent in the air? The heady aroma of pumpkin spice, overlayed with a hint of impending doom? Yes it’s October, and in a few short days it will be my all time favorite holiday – Halloween! Though I may not dress up in costume and beg for candy anymore, I still love this time of year, and make a habit of celebrating it however I can. While normally that’s done by carving a veritable army of Jack O Lanterns, this year I’m adding a new tradition – a Halloween themed article of Making It Rainfall! 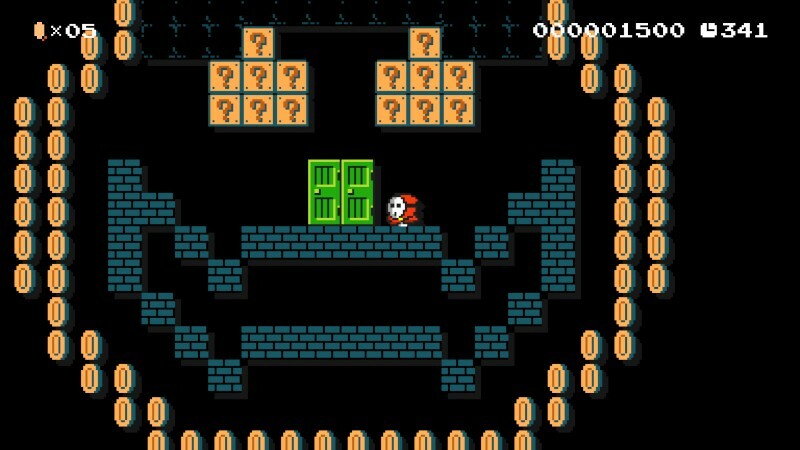 After all, there is no shortage of ghouls and ghosts in Super Mario Maker, and we decided to capitalize on that with some spooky themed levels. 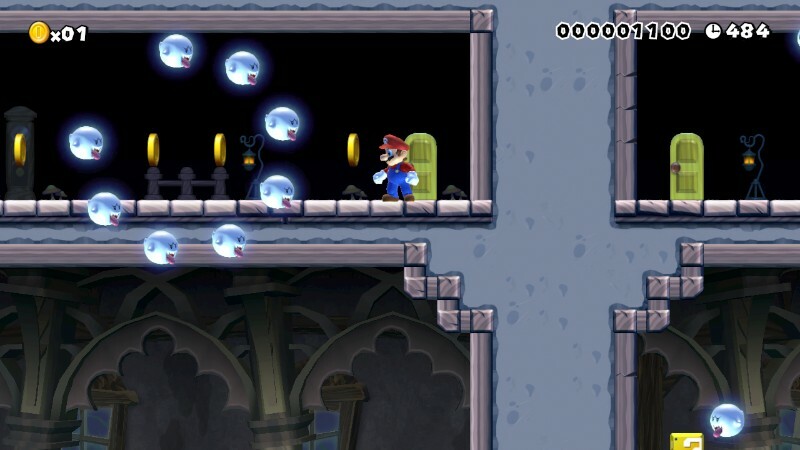 Though the vast majority of these do take place in Ghost Houses, there is a wide variety of level designs, and some very clever entries. As always, I have played through all of them to confirm they are all fair and beatable, but I would be remiss if I didn’t note there is a wide spectrum of difficulty. Some of these are cake walks, and others will require determination and skill. Without further ado, let’s see what goodies are in store! 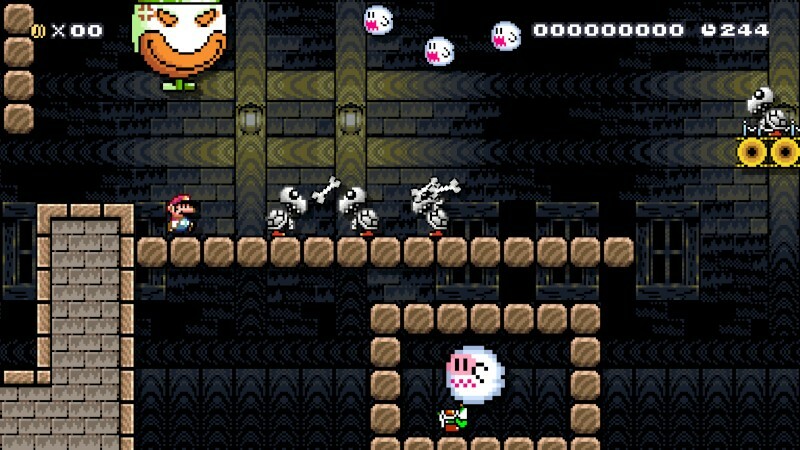 The Boo clan has locked up Mario and several Yoshis inside their haunted Prison. As Mario sat inside his cell, he was able to find a way to escape. Now all the Boos and guards are after Mario. Mario has to get our of the prison by himself. Is it possible for Mario to save one of the Yoshis? Or will he have to leave them all behind in hopes of coming back another day? There may be some hidden secrets to trick or treat you. I’ve been playing a lot of Chibi-Robo! Zip Lash of late, and that is in large part how this level came about. Unlike the series the titular character is from, this level is not an easy one. It has lots of precise jumps to make, and you’ll need to keep your Chibi-Robo costume until the mid point of the level. Without it, you’ll find yourself stuck and unable to proceed. Once you get the hang of things, this is actually a very easy level. Besides, where else will you find Chibi-Robo astride a flying high heel? A while back I made my first Deadland stage as a way to have a sort of haunted Airship level. Then it occurred to me, why not delve deeper into the mythos of the Deadlands? I decided to do a series of Deadland stages, and this is only the second. My idea is this is a sort of realm of tainted half life, where ghouls and ghosts reign supreme, and even the most notoriously powerful entities in the world of the living, like Bowser, find themselves chained in service to the umbral horrors that rule the Deadlands. I also explore the duality of fire and ice in this level, and you’ll need to have quick reflexes to survive the Tower of Frost and the Tower of Fyre. Make sure to get the Star at the end of the level so the chained Bowsers don’t ruin your escape from the Deadlands! Not much to explain here. Halloween is about dressing up as other people, so why not dedicate a level to that idea? 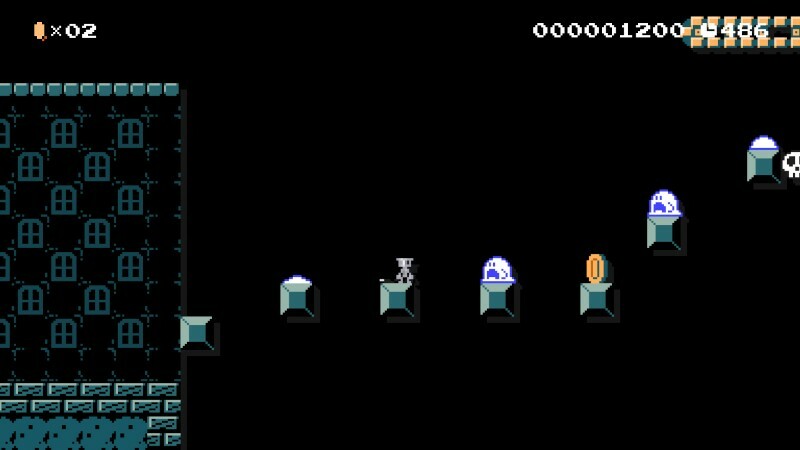 There are 3 distinct paths through the level, and each has a Mystery Mushroom for you to try on. Will you ascend to Peach’s aerial trials, or stomp through as Bowser, or maybe step into adventure with Toad? Each path is very different, and some are easier than others, so I hope you’ll try out all three! Level 5 – Trick or Treat! I actually made this level a while ago, but then decided to shelve it until the Halloween segment of Making It Rainfall. It’s a pretty basic Ghost House stage, with a bit of misdirection and traps. However, once you figure it out, it’s quite easy to beat. More than anything, I wanted to make a giant Jack O Lantern in a stage, as well as another spooky construct. Dress up as a Shy Guy and race to the finish! 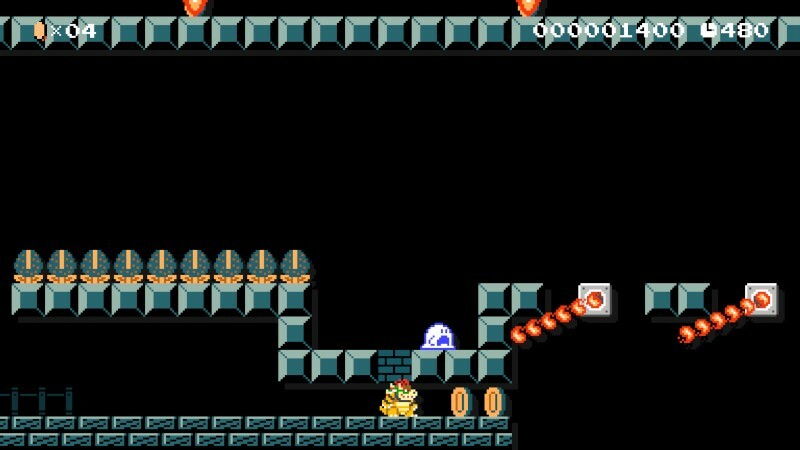 This level is a Ghost House, and as such there are a few tricks around, but nothing too evil. Can you find your way through the Ghost House and reach the goal? Or will the Boos be too much for you and turn you into a Boo yourself? 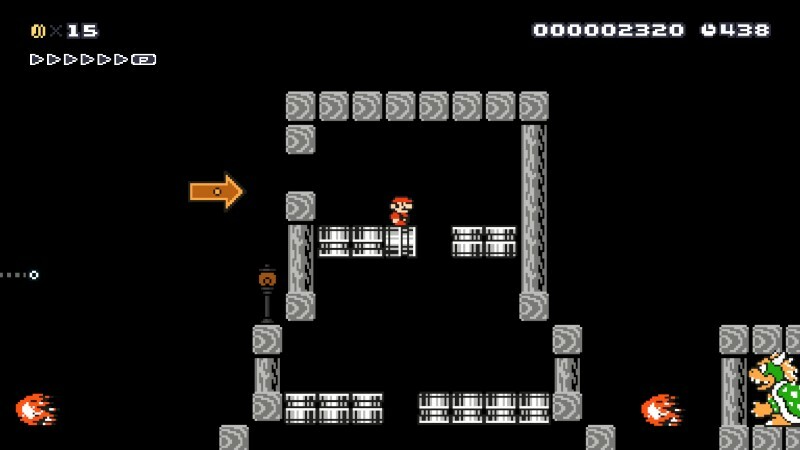 There are a couple of puzzle-oriented areas within this haunted mansion, as well as a handful of 1Ups hidden around the level (5 I believe). I hope you enjoy this level! That’s it for this edition of Making It Rainfall! We hope you enjoyed it, and if you like playing these levels, feel free to star and comment on them! Have a great Halloween, and tune in next month for the next Making It Rainfall!